Editor’s note: A PDF file version of this article is available here. A digital magazine version of this article is available here. Everyone knows real estate is a “relationship business,” but unfortunately, the phrase is overused and often unsubstantiated. Talk to people who have known Pam O’Connor over the course of her 30-plus years in the real estate and relocation business, however, and they will tell you that she brings the meaning of relationship to a whole new level. When it comes to caring, O’Connor is the real deal. 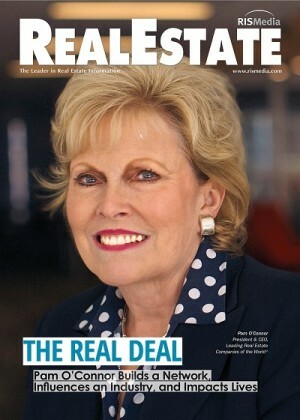 As she prepares to retire from her post as president and CEO of Chicago-based Leading Real Estate Companies of the World® (LeadingRE) on March 31, O’Connor’s professional and personal commitment to the network’s more than 550 global member firms, along with her colleagues at LeadingRE, will be sorely missed and never forgotten. But for O’Connor, it’s all part of her master plan. That baton will be passed to current COO and Luxury Portfolio International® President Paul Boomsma, the successor to the president and CEO role, who has worked closely with O’Connor since 2005 when he came on board for the launch of Luxury Portfolio International®. 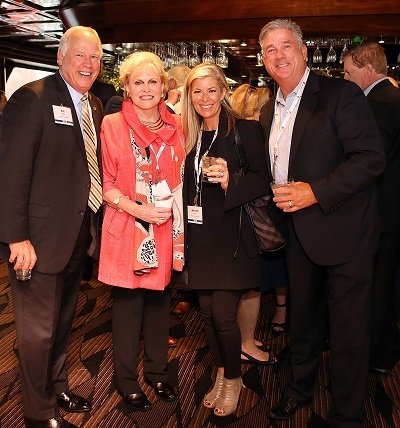 Bringing Leading Real Estate Companies of the World® from vision to reality was not without challenges, of course, and O’Connor leaned into her industry acumen and relationship-building expertise throughout the journey. 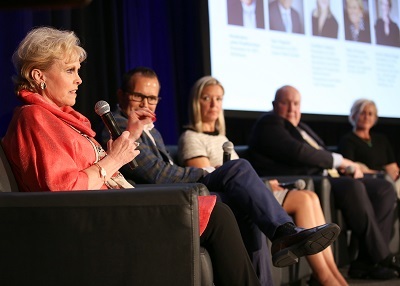 Assembling a star-studded roster of brokerages after what O’Connor refers to as NRT’s “shopping spree” of independent firms 20 years ago, is understandably an accomplishment she holds near and dear to her heart. 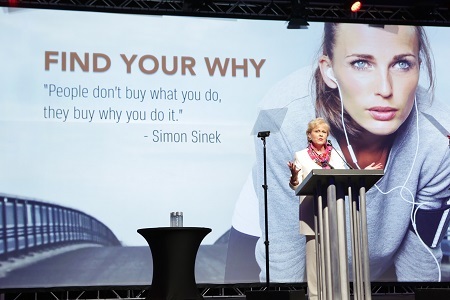 As she prepares for the next phase of industry involvement and life post-retirement, O’Connor shares some business insights and personal wisdom. Maria Patterson: What are some of the biggest lessons you’ve learned over the course of your career? Pam O’Connor: If it looks too good to be true, it probably is, and there aren’t many true shortcuts. In most cases, you just have to do the work. MP: Who are some of your greatest role models? PO: My mother, widowed at 37, who taught me never to be a victim. So many who taught me the business…Allen Tate, Rob Sibcy, Wes Foster, Michael Saunders, Ron Peltier, and so many others. My girlfriends, who inspire me to be a better person every day. MP: What are some of the biggest changes you’ve witnessed in the real estate industry over the years—both good and bad? PO: The internet, which generated virtually all changes to the business in the last 30 years—all for the good, in my opinion. On the flip side, the disproportionate focus on money—discounting, buying agents, etc.—rather than value and culture, that we’re seeing from most of the new entrants in the business today. MP: What was one of the biggest challenges you faced at LeadingRE, and how did you handle it? PO: Getting our members to weave LeadingRE into their brands as a qualifier, and we’ve made good progress in that area, due in part to re-branding with a new, easier-to-use logo, and also, getting agent buy-in with their increased direct participation through our agent SUMMIT conferences, back-office support tools and other communication. MP: What are you most looking forward to in retirement? PO: Definitely staying busy with work and play—just a different kind of work. Writing a book, doing some projects that interest me, serving on a board or two, doing some volunteer work, and traveling to places my job hasn’t yet taken me, including a Danube River cruise in the spring from Budapest to Prague. I don’t plan to be sitting at home eating bon bons!